Delivering a premier private charter experience, Flowers Air Agencies offers world-class private jet charter handling services. Our aim is to help you deliver a special, bespoke flying experience from ground to the air. 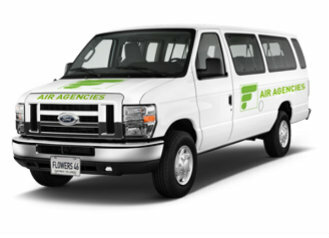 We provide an uncompromising dedication to safe, secure & luxurious air travel for your customers. We offer a quick and efficient handling service for all arrivals and departures in Cayman. By ensuring all aircraft operations are on time and fully functioning, you'll enjoy a smooth and reliable flight. We ensure all aircrafts are safe through our accredited and well-trained operations handlers. This includes ramp services such as load control, pushback, and towing, as well as baggage handling to ensure proper loading & unloading on arrival and departure. Our service in liaison with all local authorities helps in the operating environment and quality use of resources and services from one agency to another. Fly comfortably as you enjoy a delicious gourmet meal. The choice is yours as you pair a refreshing beverage for your tasty meal. Ice can be provided, if requested. Through our concierge services, enjoy your flight with a peace of mind having everything taken care of at your disposal. Our services provides catering, transport, transfers, limousines, hotel booking, rental car arrangements, and moving assistance. Time is money - don't waste time having to wait at check-in, immigration, and customs. Make your travel easier through our expedited service and reach your destination without the hassle. Our flight support crew ensure that the aircraft is fully operational. We provide close monitoring, flight planning, and analysis using innovative aviation equipment necessary to complete needed repairs. Through our GPU services, we supply electrical power to the aircraft and ensure it's fully operational at all times. We also take care of the lavatory drainage for aircrafts, with our on-site team trained to ensure you enjoy a clean and sanitized travel experience. Have your aircraft up to date and compliant with the rules, regulations and standards for approved entry. For further details, download our form. Travel in luxury and tranquility with quality service to enjoy your flight comfortably. Send a request to our team to get a quote for your trip. We have special quality representatives to help with any service needed. Through our service, representatives can assist in customs, baggage handling, air ticketing and any other needed requirements. When there is a hurricane imminent, we can assist you and your passengers. With careful monitoring of the hurricane and evacuation protocol in place, you will be safe from harm.